Phoenicia was a thalassocratic ancient Semitic civilization that originated in the Eastern Mediterranean and in the west of the Fertile Crescent. 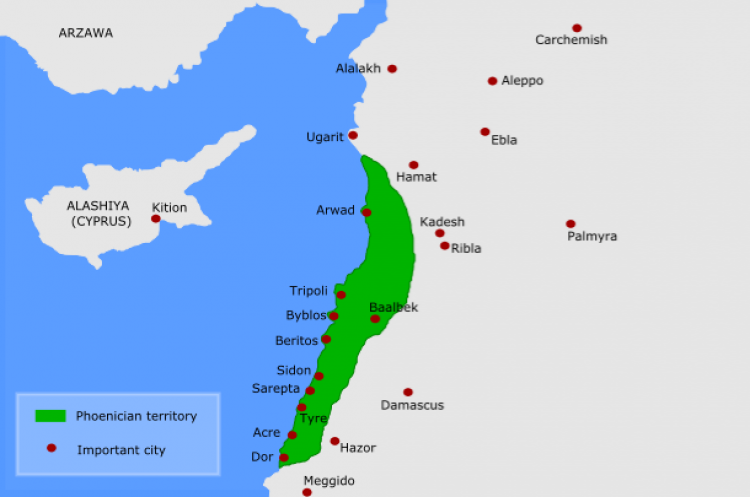 It included the coastline of what is now Lebanon, Israel, Gaza, Syria, and south-west Turkey, though some of its colonies later reached the Western Mediterranean (most notably Carthage) and even the Atlantic Ocean. Their civilization was organized in city-states, similar to those of Ancient Greece, perhaps the most notable of which were Tyre, Sidon, Arwad, Berytus, Byblos and Carthage. Each city-state was a politically independent unit, and it is uncertain to what extent the Phoenicians viewed themselves as a single nationality.